What Are the Signs of a Humid Basement? What Causes High Humidity in a Basement? What Are the Consequences of Having a Humid Basement? How Does the Water Drain? How Much Energy Do They Consume? 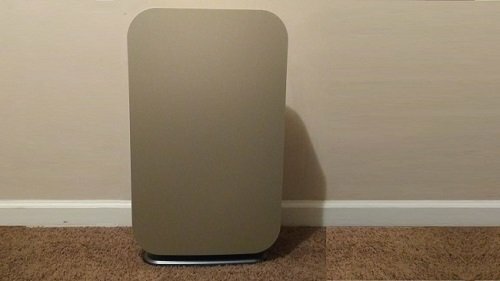 How Can I Determine a Dehumidifier’s Effectiveness? Using a dehumidifier is the most efficient way to combat excess moisture in the air. Although it’s easy to control the humidity in a small room, basement dehumidification can be tricky because basements are spacious and often drafty. However, with the right dehumidifier, you can reduce your basement’s humidity level and prevent damaging mold and mildew. A thorough check of your basement can reveal multiple signs of high moisture. Often, the first sign people notice is a musty odor in the air. This smell is caused by mold and mildew, which you may spot on the walls, ceilings or items you have stored in the basement. There may also be condensation built up on the floors, walls and windows. In bad cases, this condensation turns into full-fledged puddles. Paint bubbles and yellowed stains are two other signs. If you have carpet in the basement, you may also see areas of the carpet with deteriorated fibers. Even though every situation is unique, there are several common issues that cause a basement to become humid. Some problems originate from inside of the home, such as plumbing leaks. Poorly ventilated dryers and inoperable stove exhaust fans can also cause high humidity. Other sources come from outside of the home. Cracks in the foundation are one way for moisture to enter a basement. Gutters that are clogged or ground that slopes toward the home are two other culprits. If you tend to open your basement windows in the summer to feel a breeze, you’re also letting in humid air that can lead to condensation on the basement’s floor and walls. Muggy air is unpleasant, but excess moisture in the air can lead to more problems than just discomfort. Dust mites, mildew and mold spores thrive in damp areas. If your basement is humid, these contaminants can spread throughout the air. In turn, this can cause respiratory issues, especially in those who suffer from allergies or asthma. Mold and mildew can also do a number on your personal belongings. When mold grows on objects like books, blankets and furniture, they are usually damaged to the point where you have to toss them. Plus, moisture can cause the walls, foundation, beams and other structural components in your basement to rot, leading to expensive repairs. Dehumidifiers are hard-working machines. 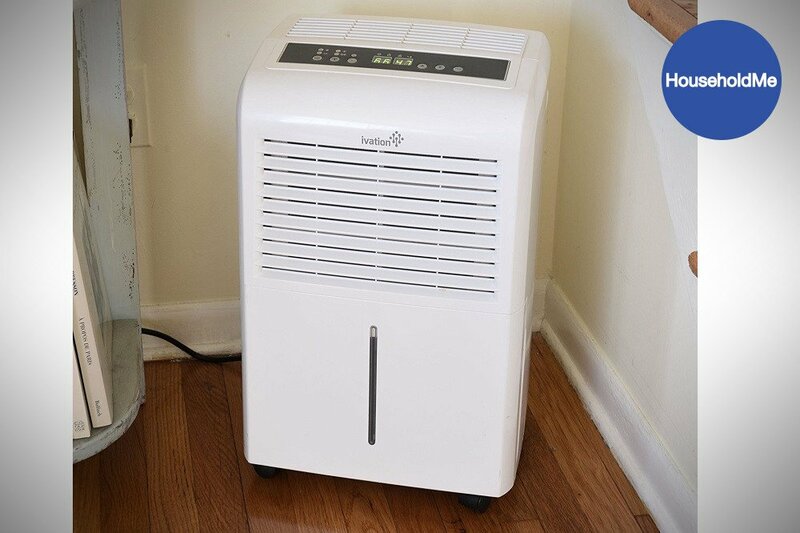 The typical dehumidifier pulls the air in a basement toward its inlet via a powerful fan. Then, the dehumidifier moves the air inside of it over the condenser coils, which glean moisture from the air. 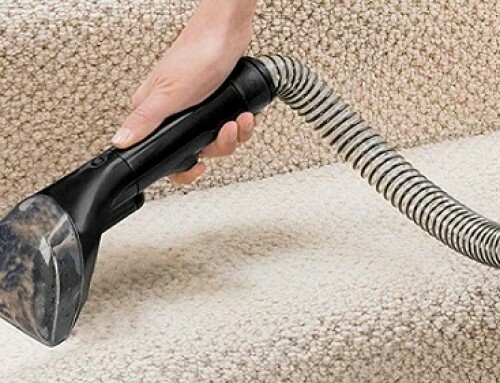 After the moisture is dropped into the dehumidifier’s collection tank, the dried air is pushed into the basement where it circulates around the room. Over time, the basement’s humidity lowers to a healthier level. Each dehumidifier is different when it comes to the draining method implemented by the manufacturer. Some models have a removable reservoir that either lifts or pulls away from the machine. To dump the water, you simply carry the reservoir to the nearest sink. Other dehumidifiers may have a removable reservoir and a drain port. All you have to do to take advantage of the drain port is attach a hose to the port and let it hang in a sink or next to a floor drain, and the dehumidifier will drain itself. There are also dehumidifiers that contain a pump. These models can remove the water even if the hose is vertically placed. The cost of electricity can be brutal during peak seasons. However, most dehumidifiers won’t make a noticeable difference in the average home’s electricity bill. To measure how much money it takes to use a dehumidifier, you can calculate the kilowatts per hour it consumes. If you plan to run it all day and night, multiply 24 and the dehumidifier’s wattage. Then, divide the number you get by 1,000. Luckily, there is no math involved in figuring out how effective a dehumidifier is at removing moisture from the air. Manufacturers almost always list a dehumidifier’s moisture removal capacity in the product’s specs. The amount of water it removes is calculated in one of two ways. 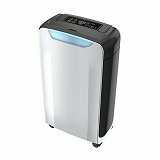 One way is by calculating how much water the dehumidifier removes when the relative humidity is at 60 percent and the air temperature is at 80 degrees, which are the conditions used by the AHAM, or Association of Home Appliance Manufacturers. The other way involves measuring how much water the machine can draw from the air when the relative humidity is at 100 percent. This calculation method tells you the dehumidifier’s water removal limit. Since it’s highly unlikely your basement is that humid, the dehumidifier should be able to perform better than what this rating shows as long as the machine is sized correctly for the space. 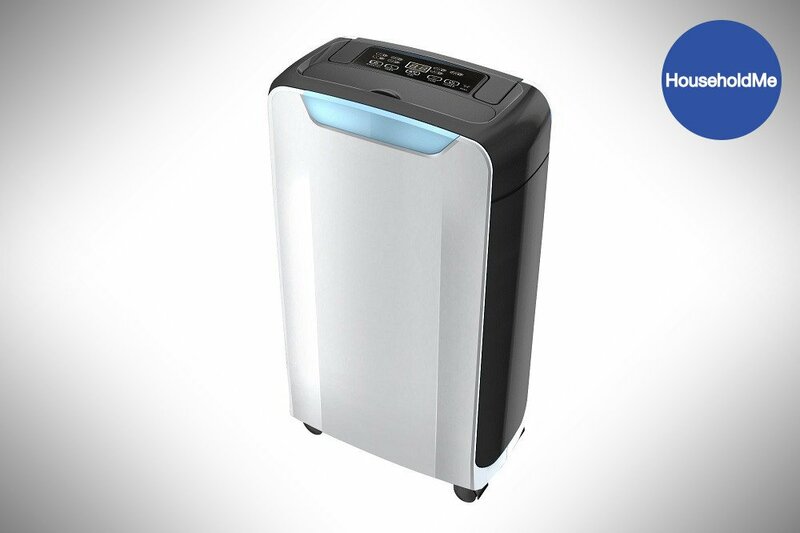 Humid conditions are no match for this Eurgeen Compact 20 pint Portable Dehumidifier. It’s ultra-powerful fan and compressor are able to remove 20 pints of moisture from the air per day in a 200-square-foot room. 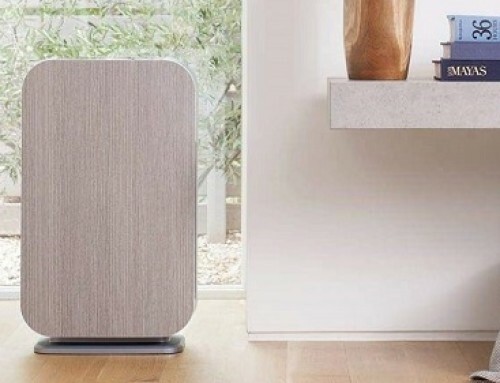 Somehow, it manages to keep the noise level down despite the strength of the fan, which generates a mere 50 decibels of sound. 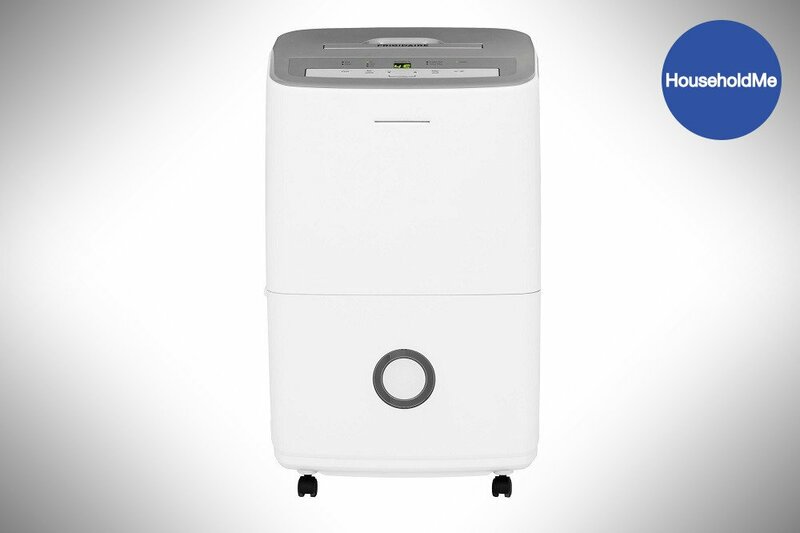 The 210-watt dehumidifier boasts a sizable tank that holds 1.5 liters of water. When the tank is full, the dehumidifier automatically powers down, and the reservoir’s indicator light illuminates. To empty the tank, simply slide the tank out or take advantage of the continuous drain port. On top of the 11-by-6-by-19-inch dehumidifier, there is a user-friendly touch panel with a digital display. To help you move the 22-pound machine with ease, Eurgeen equipped it with four caster wheels and a hinged handle. Plus, the filter is easy to access and washable, saving you time and money. 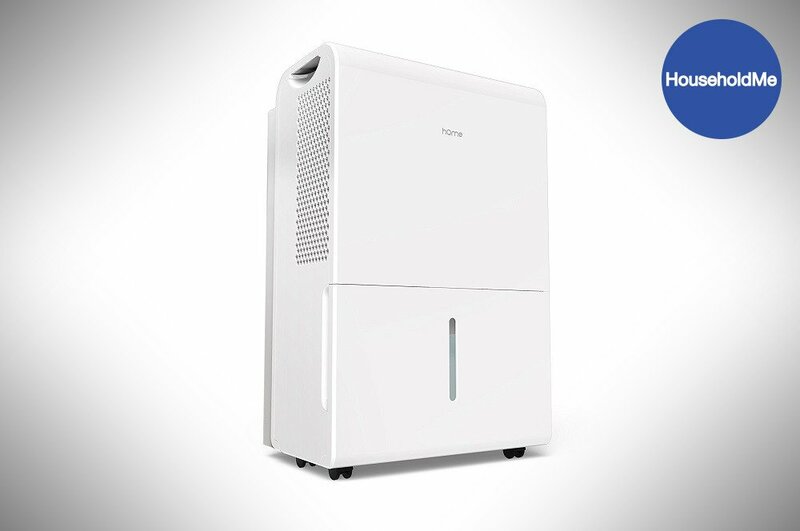 This white, boxy dehumidifier is a champ at moisture removal with its ability to extract 50 pints of water from the air on a daily basis. 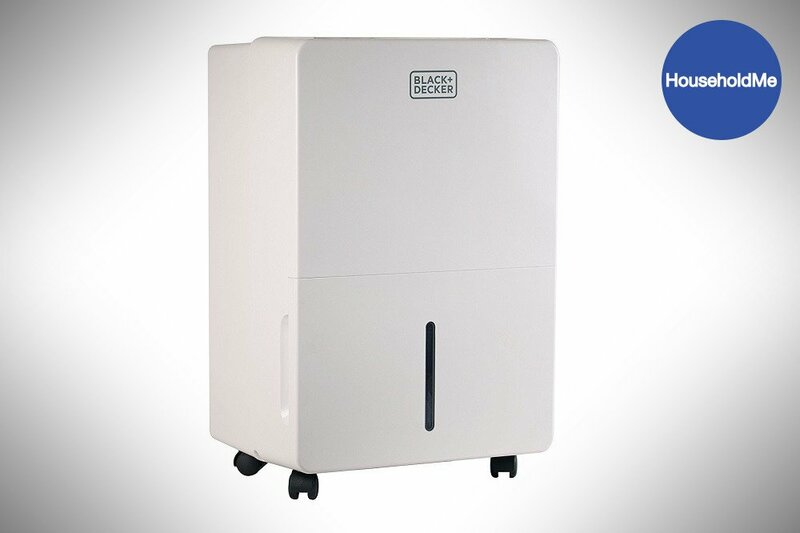 The BLACK+DECKER BDT50WT 50 Pint Energy Star Portable Dehumidifier is also intelligent, featuring touch controls and a digitally displayed humidistat. With four casters and a pull-up handle, the machine is a breeze to move despite weighing 34 pounds. From the well-organized control panel, you can select from among three fan speeds and view maintenance indicators for the filter and the water tank. You can even choose one of four modes, including a basement mode with a preset 45-percent relative humidity. If you don’t want to run the dehumidifier all day, you can set a timer from 30 minutes to 24 hours. With its 8.5-pint capacity, you won’t need to make frequent trips to the sink, and there is a vertical viewing window that lets you monitor the reservoir’s water level. Alternatively, you can attach a hose to the port for hands-free water drainage. Thanks to the dehumidifier’s automatic shutoff, restart and defrost functions, you can count on the machine to last for years to come. 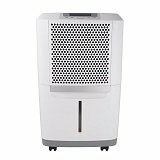 Frigidaire is known for making high-quality appliances, and the Frigidaire FAD504DWD 50-Pint Dehumidifier is no exception. 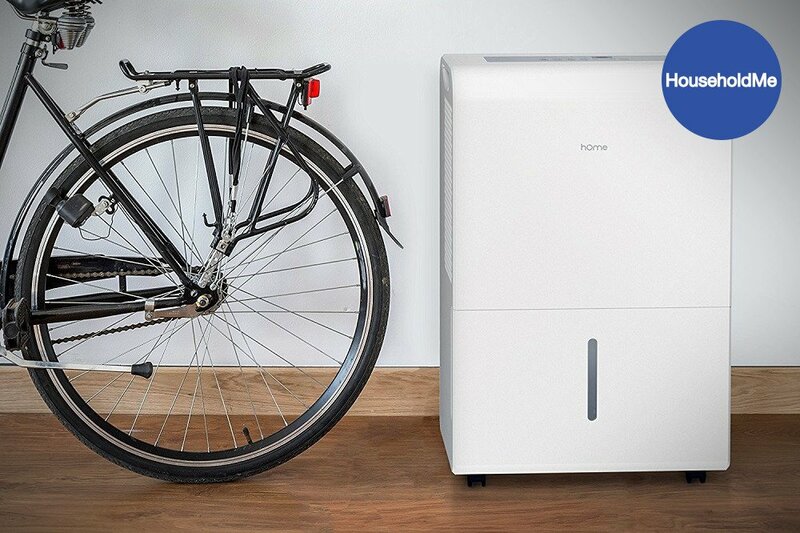 This dehumidifier is able to draw 50 pints of moisture from the air each day. With three handles and four extra-wide casters, the machine offers excellent mobility and stability. To get the most from this dehumidification appliance, you can use the recessed control panel to change the fan speed or set a timer. The large digital display allows you to program the humidistat, and there are indicator lights and a viewing window to inform you when the reservoir is full. If you want to bypass manual tank-emptying sessions, simply attach a garden hose to the drain port. 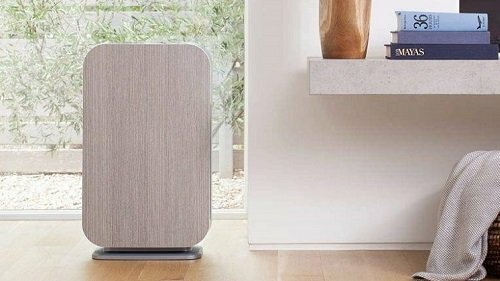 Inside of the 37-pound, 530-watt dehumidifier, there is a washable filter that’s made of an antimicrobial mesh material. With a power cord that measures 6 feet in length, you won’t struggle to find the perfect place for it. 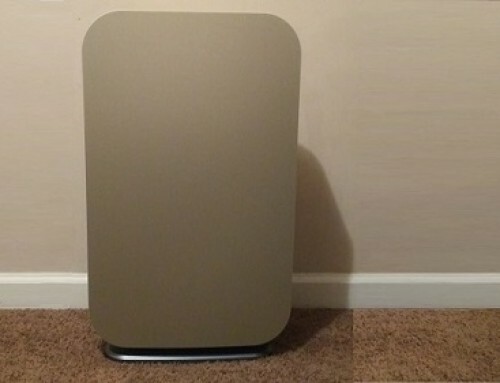 Plus, it doesn’t take up a ton of room thanks to its width of 16 inches and a height of 25 inches. White, modern and efficient. 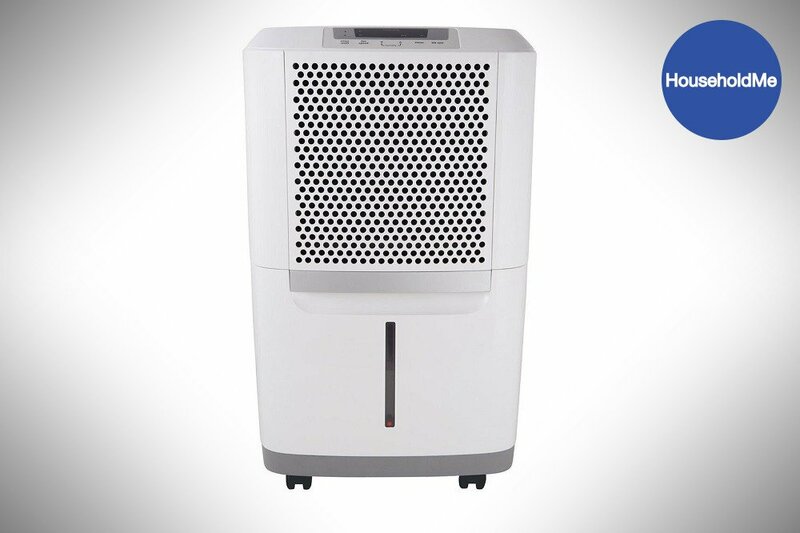 Meet the 6 Gallon Dehumidifier by hOmeLabs. 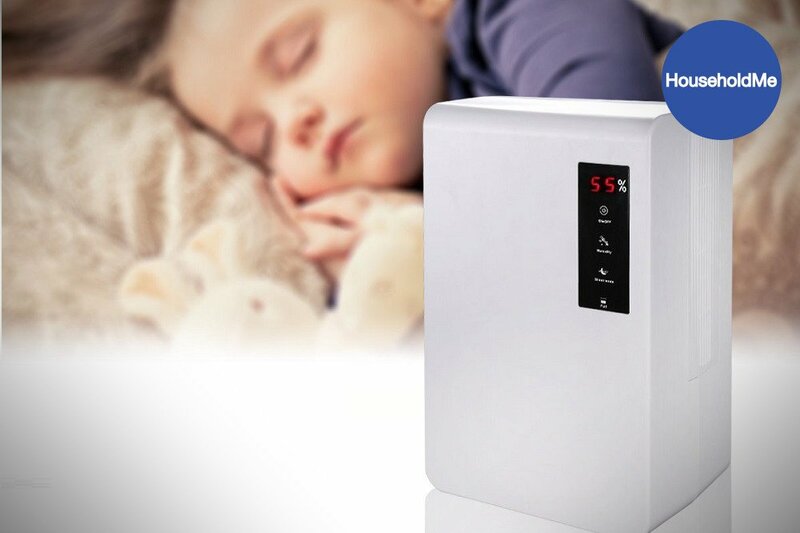 It can remove 50 pints of water from the air every day. Since the machine is Energy Star certified, it doesn’t cost a ton of money to run. The removable, 6-liter tank is easy to empty, and it features a viewing window that lets you instantly determine how much water is inside of the reservoir. On the back of the unit, there is a sturdy cover that protects the reusable filter. A set of four double casters allows you to roll the 40-pound dehumidifier anywhere in your basement, and there are two integrated side handles that boost the machine’s mobility. 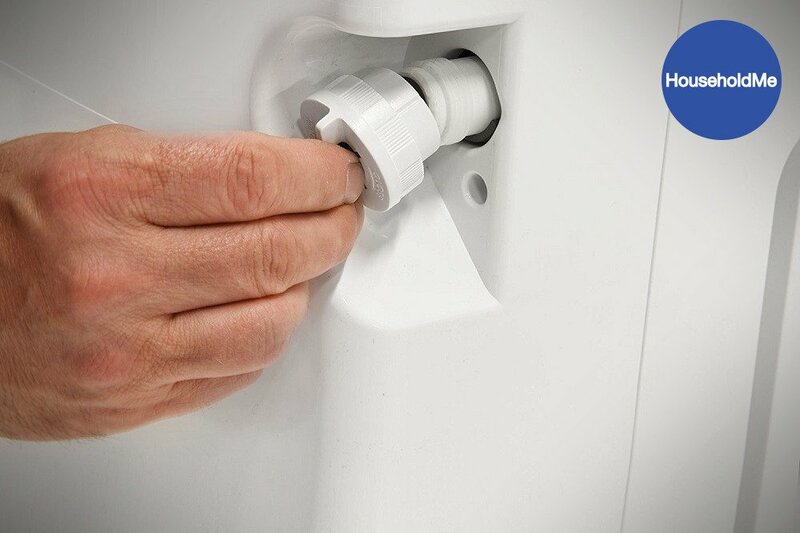 If you don’t want to manually empty the tank, simply use the drain outlet in the rear of the dehumidifier. 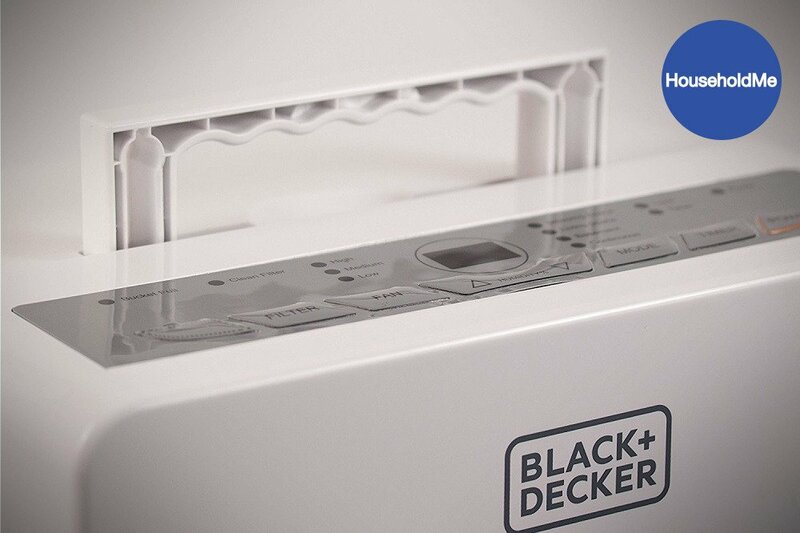 From the top-located touch panel, you can receive alerts when the dehumidifier is full or in defrost mode. Additionally, there is a digital display that shows the relative humidity of the room. 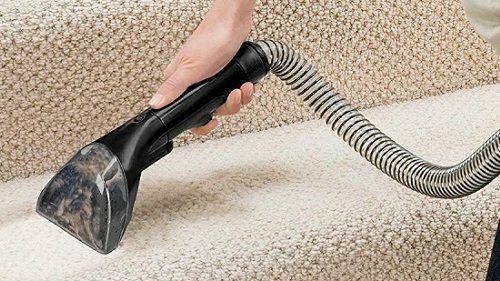 If you’re dealing with an extremely high humidity problem, set the fan to turbo speed for fast dehumidification of spaces up to 2,500 square feet. 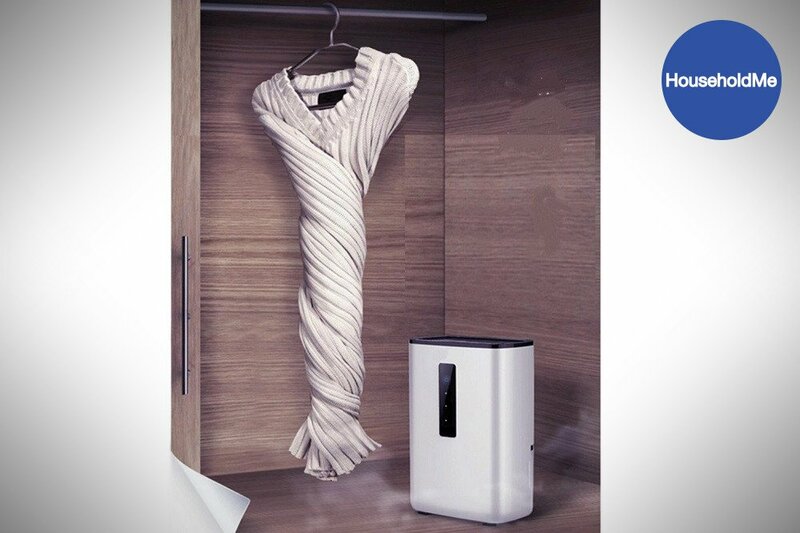 Frigidaire makes dehumidification easy with this machine. It can take 50 pints of water from the surrounding air per day. To control how fast the fan moves and the relative humidity of the room, you can select one of three fan speeds and the humidity level you want by using the touch panel. This panel even lets you set a timer. If you decide to run it continuously, the dehumidifier shuts down as soon as the tank is full. To dump the water, you can pull out the tank and carry it to the sink by holding the handle. 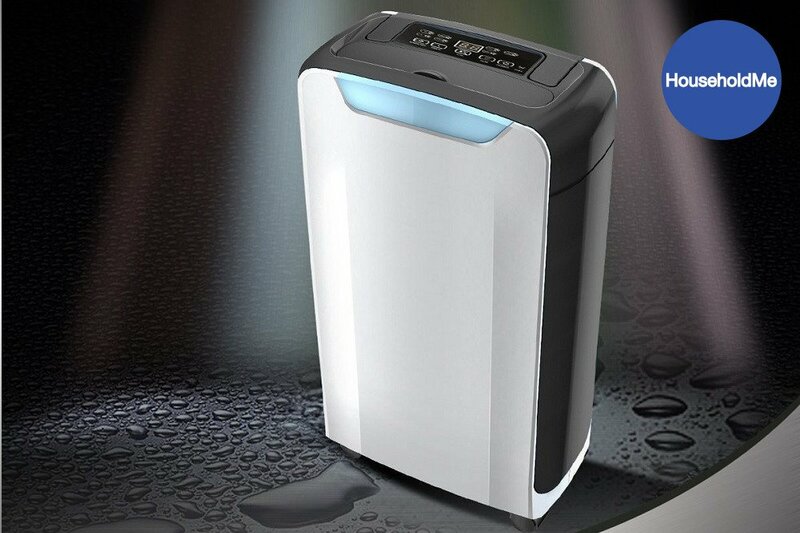 Since the tank is located on the front of the dehumidifier, accessing it is a hassle-free task. For automatic emptying, attach a drain to the covered port. 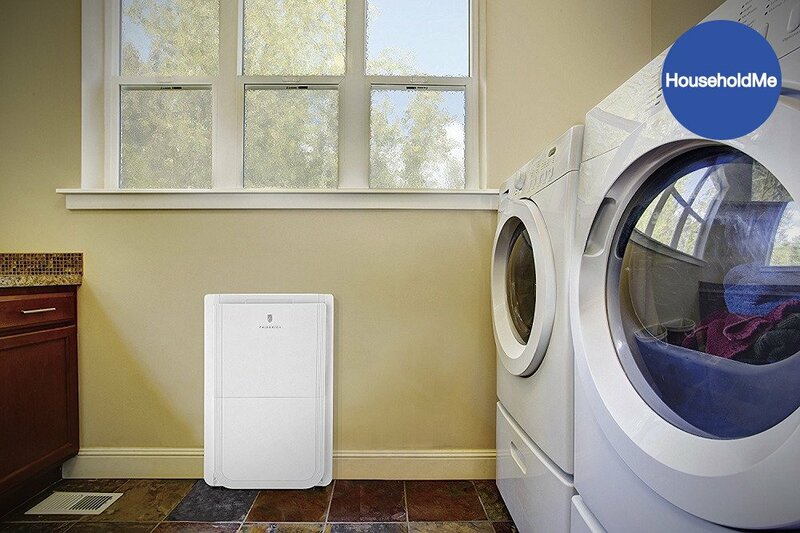 Regardless of the water removal method you choose, the washable filter keeps the air healthy. Whenever you need to move the dehumidifier, you can extend the luggage handle and roll it around on its four caster wheels. This tower is also a space-saver, measuring 15 inches wide by 24 inches tall. Plus, there is a cord wrap on the rear of the machine for neat and tidy storage. Prolonged high humidity can wreak havoc on your basement. However, a dehumidifier can prevent the damaging effects of humid conditions. 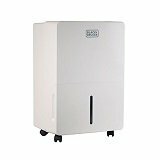 To choose a dehumidifier that can handle the size of your basement, there are a number of features to consider, such as the reservoir’s capacity and the control panel’s configuration. Let us point you in the right direction with this buying guide, so you can find a dehumidifier that can get the job done. Since the sole purpose of a dehumidifier is to extract moisture from the air, the first feature to examine is how much water it can remove. Every manufacturer will list the amount of water a dehumidifier can draw from the air per day in the machine’s specs. For efficient basement dehumidification, you’ll need a dehumidifier that can draw at least 20 pints of moisture from the air every 24 hours. 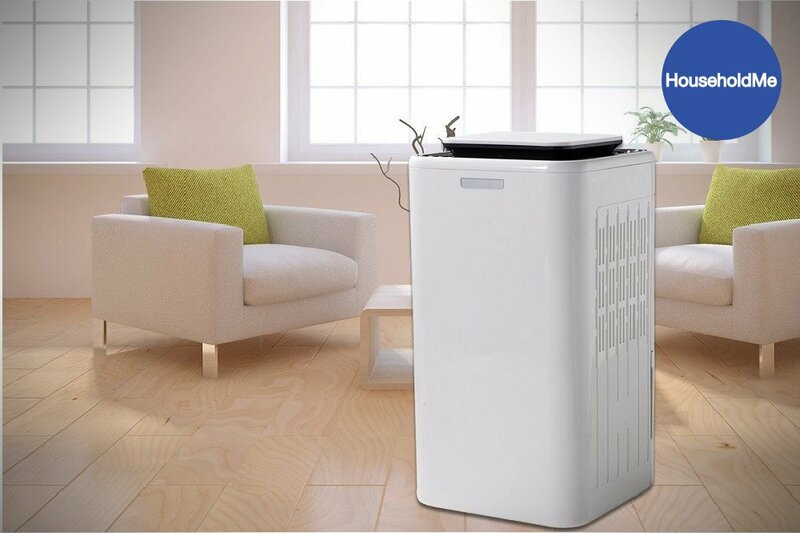 To adjust its water removal ability, you may be able to change the dehumidifier’s fan speed, keeping it on high when the humidity level is elevated and low when you simply need to maintain the current relative humidity. Going hand-in-hand with a dehumidifier’s water-removal capability is its tank capacity. The more water the reservoir can hold, the less often you must empty the tank. Some models are equipped with a drainage port that continuously empties the collected water, and many dehumidifiers have a viewing window that lets you monitor the water level. Even though you may need your dehumidifier to run day and night, there will be times when you won’t be home to tend to the reservoir. That’s why it’s important to use a dehumidifier with an auto-shutoff mechanism. This feature instantly turns off the machine when the tank is full to prevent water leaks and motor burnout. If you don’t want the dehumidifier to run constantly, choose one with a timer function. Want to learn more? 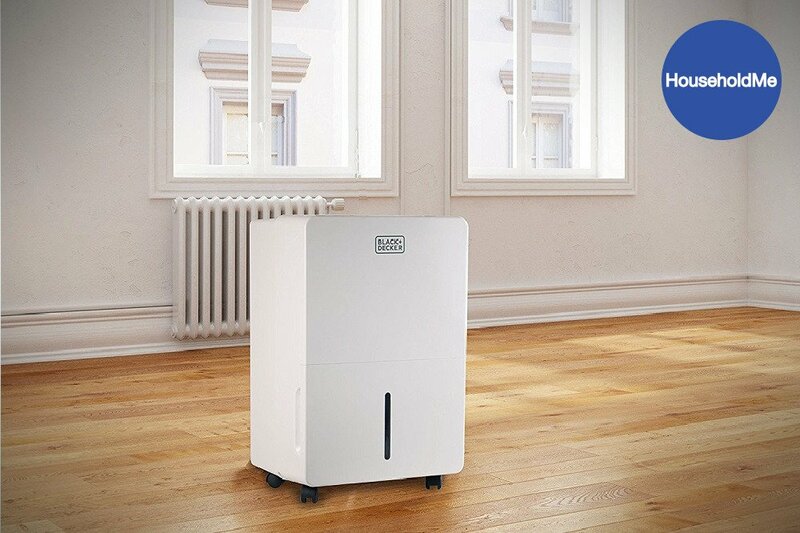 Read about the differences between a humidifier and a dehumidifier. The layout of the control panel determines how easy it is to change the dehumidifier’s settings. Out of all the configurations, touch panels are the easiest and sleekest. However, your main objective should be to make sure that the controls are clearly labeled or illustrated. Many models have a digital display that shows the room’s relative humidity as well as indicator lights that tell you when the dehumidifier needs maintenance. It’s highly unlikely that the dehumidifier will remain stationary the entire time you own it, so choose one with a manageable weight. Usually, dehumidifiers have caster wheels and at least one handle to help you move them. Look for double casters or wide-set wheels to achieve optimal mobility. Also, makes sure the dehumidifier can fit in the space where you want to keep it by looking at the appliance’s width, depth and height. Almost every dehumidifier contains a filter that traps harmful particles like bacteria, mold spores and other allergens, so they won’t enter the air. However, not all filters are the same in terms of quality. Some of the best filters are constructed from an antimicrobial material, and those that are washable will save you money on replacements. 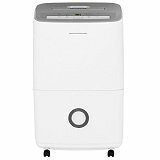 About Dehumidifiers A dehumidifier is usually a home appliance which lowers the humidity levels in the air, generally for health or comfort purposes, or to get rid of musty odor. 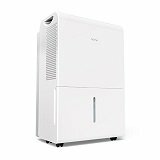 Have a look at our dehumidifier reviews and let such a unit dehumidify your home!